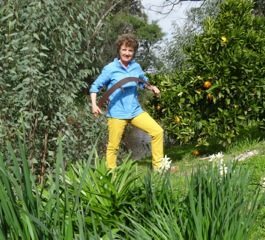 In July 2013, Sarah de Crespigny set up the Australian garden edging Company, EverEdge Australia, because she couldn’t resist such a brilliant product. For more than 20 years EverEdge has been solving the age old problem of maintaining neat edges on lawns, paths and driveways in England – now it’s Australia’s turn. The reaction to EverEdge from so many in Australia has been a universal – “That’s just what I need!” At EverEdge Australia we are passionate about gardens and believe everyone should spend more time enjoying them with a refreshing glass (or mug) in hand rather than a shovel. EverEdge now has Stockists Australia wide. However, its a big country and for those not near one of our stockists we deliver direct from our office and warehouse in Benalla, North East Victoria. Orders can be made through our web site or by contacting us at [email protected] or by calling 0488 010 203. We are here to answer your questions and assist in any way we can. EverEdge Australia is Australian owned and operates from a rural property on the banks of the Broken River. An ideal situation both from a gardening perspective and for transport throughout Australia as it is on the Hume Highway with convenient access to major distribution centres. EverEdge is incredibly easy to install as it comes in one piece – no extra pins, pegs or joiners. The strips are simply hammered into the ground and are easily interlocked to form a continuous and tidy edge around any area of the garden. When cutting the lawn you can mow over the top of EverEdge and therefore eliminate any further back aching manual edging. EverEdge is engineered from 1.6mm gauge mild steel (mostly recycled) with a Galvanised and Powder Coated Finish or with a Cor-Ten Rusted Finish. It is extremely flexible and can simply be bent to form any curve or corner required. EverEdge will last for generations and is totally maintenance free. The EverEdge range is designed to be extremely versatile and is suitable for all projects, large or small – it offers an appealing mix of practicality and aesthetics. At EverEdge Australia we strive to be able to offer quotes on any edging job. We are also able to offer expert assistance and advice. 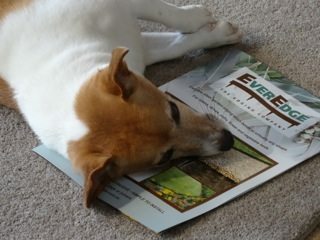 EverEdge have many Stockists throughout Australia. If, however, you do not have a stockist in your area you are welcome to purchase via our online shop, Contact us for more details and quotes.